We undertake all kinds of work, so if you have an issue with your motor, get in touch! 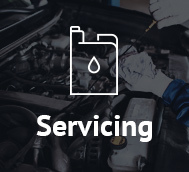 At MOT Heston we offer a wide range of garage services. Located on the A3063 between the M4 and the A4, only 15 minutes away from Heathrow Airport MOT Centre Heston is a Class IV MOT station serving South West London and the surrounding area. Though primarily known for our MOT expertise, our highly skilled mechanics are also happy to undertake any types of repair work, no matter how large or small! 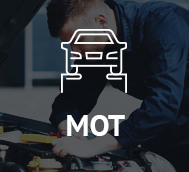 MOT Centre Heston has a well equipped workshop, well stocked with all the tools we need to conduct your MOT, repairs and services. We are able to perform MOT standard welding on site. We have the latest in diagnostics equipment to help us diagnose and fix problems both mechanical and electronic. Each of our team of mechanics is a specialist in a different area of the trade, including suspension; steering; brakes and engine repairs. We rely on our expertise and our good customer service - you can rest assured that no work will be carried out on your vehicle without your explicit consent, so there will be no surprises when you get the bill! We aim to offer a welcoming, relaxed environment for all our customers - we realise taking your car to the garage is often viewed in the same way going to the dentist! Use our Online Booking System to book the services you require at a date and time convenient to you.